Bill Clinton came to the presidency during the first moments of the post-Cold War era, when the United States and the international system were at a crossroads. Faced with the choice of either retreating from the world or acting as “world policeman,” Clinton chose a path of unabashed “practical internationalism.” His foreign policy embraced globalization, free trade and the promotion of democracy abroad, while acknowledging American limits. Scholarly and pubic interest in Clinton’s foreign policy have peaked recently, as the shape of the Trump administration’s foreign policy has unfolded. Today’s populist nationalists might be seen as reacting to the Clinton agenda: They have attacked free trade and internationalism as a “bad deal” for US workers, striking out not only at trade agreements, but at immigration, refugee acceptance, US intervention, and international institutions such as the International Criminal Court and the Kyoto Protocol. Today, advocates of free trade and international engagement warn that the United States must continue to take a leadership role in steering the international agreements and institutions that it helped to create, as a way of advancing American prosperity and security. This is the reason the Clinton administration’s foreign policy legacy continues to be important today. To understand “America First,” we must first understand the underpinnings of globalization and the policy of practical internationalism. 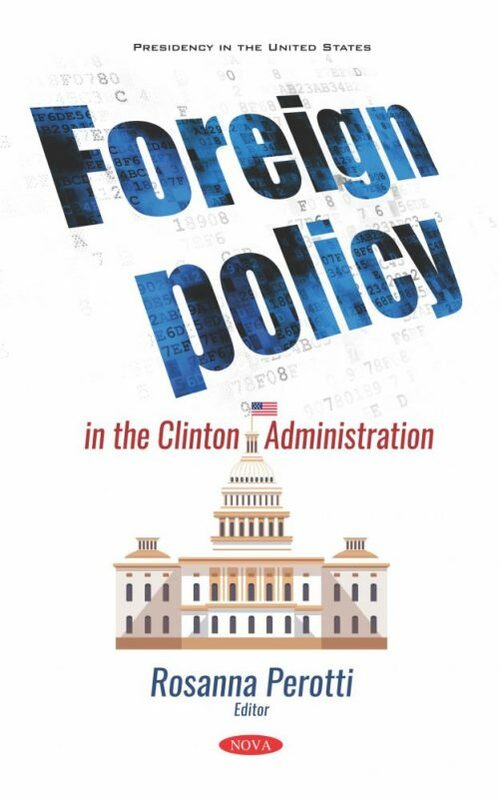 During Clinton’s time in office and not long after, many scholars struggled to find coherence to the administration’s foreign policy legacy, despite the administration’s continued assertions of an overarching strategy. Today, it is more apparent than ever that 1) Clinton’s foreign policy had a cohesive theme, 2) his internationalism sowed the seeds of our current “America First” brand of populism, and 3) Clinton’s successes and failures hold important lessons for policymakers today. The introduction to this edited volume explores these themes, and the remainder of the book’s seventeen chapters, authored by scholars of comparative politics, international relations and history, expand on particular policies. With the Trump administration midterm assessments coming in Fall 2018 and Winter 2019, there will be heightened interest in the background of such issues as engagement with North Korea; terrorism; nuclear proliferation; relations with China, India, and Japan; peacemaking in Northern Ireland; cooperation with NATO and the UN; and the difficulty of pursuing peace in the Middle East.